The choices we make in each moment have a role in determining how our visual world is structured. Feder’s work has been exhibited at George Billis Gallery Los Angeles and New York and extensively in the metropolitan Denver area, including a solo exhibition at the Boulder Museum of Contemporary Art (BMoCA) at Macky, titled BUY, and at Denver Botanic Gardens launching their 2015 season, titled Edge of The Plains. In April, 2015, she was given a solo show in Los Angeles at the George Billis Gallery entitled Curb Appeal and was selected for two solo exhibitions with Telluride Arts at Gallery 81437 in 2014 and 2015 - 2016. She has upcoming solo shows at Goodwin Fine Art, Denver in July-September 2017 and George Billis Gallery, LA in September 2018. She is an invited participant in the summer group show at George Billis Gallery LA, Cityscapes VII, and the upcoming exhibitions at Curtis Arts Center, Denver, in September - October 2017 titled: Open Space: The Finite Frontier, curated by Robin Whatley of the Art Students League of Denver and the Craig Marshall Smith collaborative invitational exhibition at the Museum of Outdoor Art, Denver, in January - April titled: Intersecting Formations. Past shows in the Denver area include Goodwin Fine Art, Michele Mosko Fine Art, solo and invited group exhibitions at The Arvada Center for the Arts, the Curtis Arts Center, Ironton Gallery, the Colorado Office of Economic Development and International Trade, and Denver International Airport, including a combined public art exhibition at DIA and the Colorado State Capitol building and the premier exhibition for the Downtown Denver Theatre District Art Salon series. Feder's current paintings have evolved from studies of geometry and urban visual choreography toward an edge, as described by Michael Paglia (Westword): "a reconciling of opposites... the tension between representation and abstraction, with the resulting paintings flipping between the two." Simone Kussatz, (ArtScene) writes that Feder’s paintings “are more about color combinations… and how paint is applied than subject matter” and also that the work is “at once an aesthetic expression and a spiritual engagement”. Further describing her work, Corrine Joy Brown wrote (Colorado Expressions): "Through line and shape, color and texture, she renders a new reality so sublime as to leave the viewer spell-bound at its beauty. We sense what is beyond, or far beneath. We stand at the edge of the experience and then, suddenly, are immersed in it." "Her work reveals nothing less than the hidden tensions of contemporary life", writes Peter Illig, referencing buildings and urban architecture that "...stand in for human relationships… the constant contradictions of appearance versus truth." 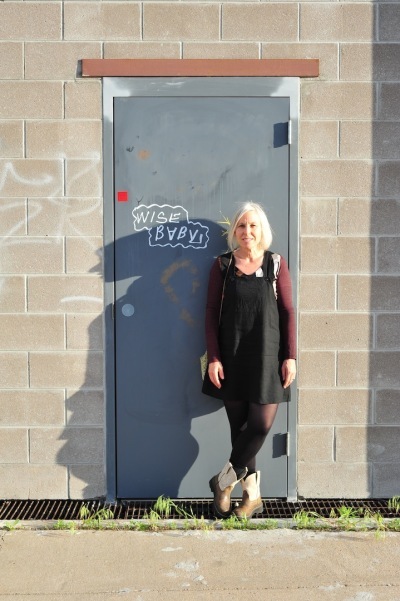 A third generation Denverite, Sharon studied painting since early childhood. She learned from Colorado Modernists Ed Marecak and Mark Zamantakis, then studied under Michael Spafford, Norman Lundin and Patty Warashina at University of Washington in Seattle, culminating in a prolonged mentorship with Bob Froese in the 1980's. She graduated from Regis University in Denver in 1996. Her work has been enriched and informed also by decades of technical experience as a set designer, muralist, and sign artist, along with a life richly lived as a mother, mate, and student of nature. Her paintings and murals are included in numerous corporate, private and public collections. or use the contact form on this site!